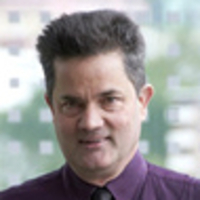 Thomas Schulthess is the director of the Swiss National Supercomputing Centre (CSCS) at Manno. He studied physics and earned his Ph.D. degree at ETH Zurich. As CSCS director, he will also be professor of computational physics at ETH.. He worked for twelve years at the Oak Ridge National Laboratory (ORNL) in Tennessee, a leading supercomputing and research in the US. Since 2002, he led “Computational Materials Science Group” with 30 co-workers. Thomas Schulthess studied physics at ETH Zurich and earned his doctorate in 1994 with a thesis on metal alloys based on experimental data and supercomputing simulations. He subsequently continued his research activity in the US and published around seventy research papers in the best journals of his field. His present research interests are in the focused on the magnetic properties of metallic nano-particles (nano-magnetism). Using high-performance computing, he is studying the magnetic structures of metal alloys. Of particular interest are his studies on the giant magnetoresistance. He is also a two-time winner of the Gordon Bell Award.